It is simply beneath the dignity of the Government to have to reckon with such an unbearable, quarrelsome, scheming woman, who is under the influence of hideous delusions and is usually in a more or less hysterical condition, regarding the manifold, sometimes crucial, questions involved in important matters of state. This was the verdict in 1894 of Lothar Berks, government commissioner for Sarajevo, on Fräulein Milena Mrazovic, the proprietor of the Bosnische Post. Her government-endorsed newspaper, published in German, contained national and international news, political and economic articles, as well as a regular feuilleton (literary and cultural section). 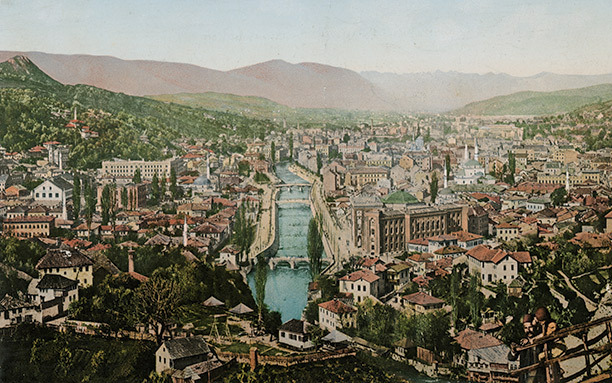 Mrazovic had inherited the newspaper in 1889, as well as a printing and publishing business, from her fiancé, Eugen von Tõpfer, son of a respected Viennese family, who had arrived in Sarajevo in 1881. Editor of the Post from its launch in 1884, Tõpfer bought the paper in 1886 but died three years later.